You are an empath if you have highly developed intuitive senses or sensory perceptions. The Mirriam Webster dictionary defines empathy as “the action of understanding, being aware of, being sensitive to, and vicariously experiencing the feelings, thoughts and experiences of another of either the past or present without having the feeling, thoughts and experiences fully communicated in an objectively explicit manner. Did that definition help? No? All humans possess empathic characteristics to a certain extent–we can “catch” a sneeze from someone else, or laugh/cry when we see others doing the same. “Don’t cry! I’ll start crying too.” A phrase used by many women–whether they have extreme empathic traits or not. We all put on our game face-especially in public, but an empath actually feels what another is really feeling. Do you get instant feelings about someone and intuit their true mood? Do you instinctively know if someone is lying and the emotion behind the lie ( malice, guilt, courtesy)? Do you cry or laugh or sneeze or feel pain when you are in close proximity to another who is experiencing those emotions/symtoms? For example: Will your own knee hurt when speaking to someone who is recovering from knee surgery? Does a particular scent cause you to cry or laugh for no apparent reason? Can you discern the prevailing emotion in a meeting? Can you determine if a person has high or low energy upon first meeting them? Do parties leave you drained or overwhelmed? Do people seek you out to dump on you emotionally? Does watching some horror or tragedy on TV or movies leave you upset for hours! Do you feel compelled or obligated to help people in pain? Are you able to heal people through word or touch? Most people possess empathy–it’s what makes us human. Advertisers know this and use our capacity to feel another’s emotions to drive sales ( think about all those sad puppy commercials). Many websites are devoted to Empaths and the “problems” that come with being an emotional sponge. Wish I had time to review them all for you! This entry was posted in Engaging Enigmas and tagged blog, blogs, empath, empathy, free ebook, LZMarie, musings, must read, mystery, new author, paranormal, signs you're an empath, supernatural, urban fantasy, writing on February 2, 2013 by lzadmin. Are you flossin’ to your friends about your knowledge of slang! Are you keeping hip with the times or are you no longer in the teen lingo loop? OK folks, that’s all for the slang words! Hope you had fun! This entry was posted in Life & Laughter and tagged blog, blogs, culture, free ebook, free novel, life, LZMarie, musings, mystery, paranormal, slang, slang words, teenager, urban fantasy, writing on January 26, 2013 by lzadmin. My wallet is FAT, heavy with plastic. Not with credit cards—goodness no. Bulky with those cards that EVERY store believes is necessary to hand out to receive “points,” “savings,” and “discounts.” They tell you the cards are “valuable” and “redeemable.” Whatever. I don’t want any more plastic! Stop with the cards already! Those are the cards are in my wallet, another stack of plastic is in the purse’s side pocket. Gift cards! But I would NEVER complain about gift cards! I already get a zillion ( a slight exaggeration) emails from every store I ever purchased anything from. 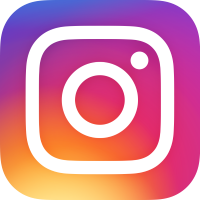 Does that form of marketing actually work? I just delete all the ads. Do you? So back to my rant complaint about all those ever-so-important plastic cards. I’m thinking about pairing down. Way down. I’ll just bundle them up and leave them in the glove box until I need them. But you know I’ll forget to take out that super saver plastic and I’ll be standing in line sans club card. 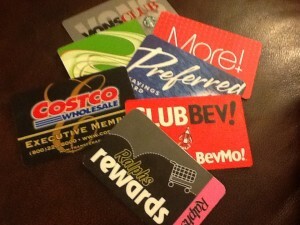 How many super-saver-discount-value-preferred-rewards club cards are in your wallet? This entry was posted in Life & Laughter and tagged blogging, blogs, books, club cards, free ebooks, free novels, life, LZMarie, musings, super saver, urban fantasy on January 15, 2013 by lzadmin. I love technology. I do! I really do. Except on those days when everything goes horribly wrong. Well, maybe not horribly, but it’s frustrating when the technology doesn’t work and I waste time. My car won’t “find” my phone so I can’t make a hands-free call. Once the car finally “finds” my phone, the cheerful female voice informs me the “phonebook” is empty. Empty? Computer won’t “load.” No icons. Just blue empty screen. Once. Twice. Three times. Ahhh—there it goes. I have icons! 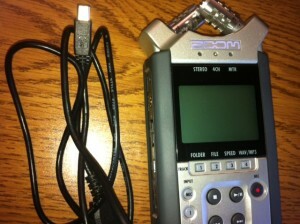 Can’t figure out the digital recorder I need to use today. There’s a wheelie thingy, and a mode button and a whole row of functions I can’t figure out. My iPad is demanding a new email password. The connector from digital recorder to computer doesn’t work. My school computer won’t “read’ the memory card. Online form won’t download correctly. Keep getting errors on an upload. I can’t remember which flash drive I put all the stuff I need for today’s work. I love technology. I love technology. I love technology. I’ve had worse TechnoTrouble days. We all have. What’s yours? This entry was posted in Life & Laughter and tagged author, blog, free ebook, free novels, LZMarie, suspense, techno troubles, technology, urban fantasy on January 11, 2013 by lzadmin. Do YOU have too many passwords? Do you suffer from password or PIN confusion? Passwords multiple—like rabbits, more and more, and more—and well—you get the picture. It started out innocent enough. Long, long ago, in a galaxy far, far away (do you hear the musical score to Star Wars in the background) when the first computer was brought into the home many years ago. A password was needed to access the computer. OK. Innocent enough. I have over 25—that’s right—different passwords. How did I accumulated so many? 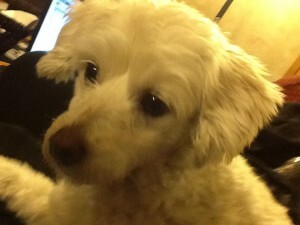 Puppy commiserates while I rant about passwords! The biggest problem. Those programs that demand the passwords be changed every few months. ACK! “But L.Z.” I hear you saying, there’s a program for that. It saves all your passwords, even enters the passwords and PINS for you.” That’s next on my to-do list. And I have a sneaking suspicion it will require a password! The other day, I swiped my card at the grocery store and was about to enter the PIN—another word that makes me quake in terror—when I had a brain fart. The mind went blank. Zero. Nada. My own memory wiped clean of those random numbers assigned by the bank. I blame the checker, he was talking to the manager and they were discussing numbers and WHAM—I couldn’t remember my own. As we sat and sipped our mochas a few minutes later, I asked my daughter what her social security number was. “What’s your employee number?” Smug sip. Yep! Soon enough, she will get multiple passwords. Life. School. Career. They all come with passwords. This entry was posted in Life & Laughter and tagged author, blog, free ebooks, free novels, life, LZMarie, passwords, personal, PIN, suspense, thoughts, urban fantasy on January 10, 2013 by lzadmin. 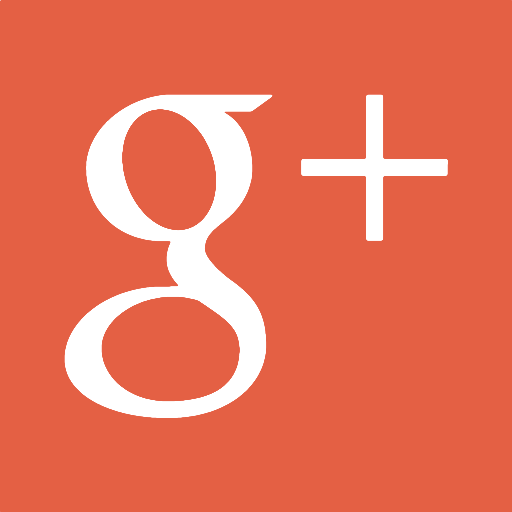 Short post today–I’m catching up on novel writing, picture pinning, and other author-ly stuff. After a bit of hemming and hawing, I joined the ranks of the Pinterest groupies. So far, I have 5 boards and plan to add more. It’s fun finding and pinning all the pictures for the different novels. Daphne’s clothes, the stones in the merkabah, her favorite coffee…a great tool for author and reader. Warning: One’s imagination is ever so much more powerful, so I won’t be too specific–we all have a vision of what S.J. might look like. We loved picture books as children–we still do! 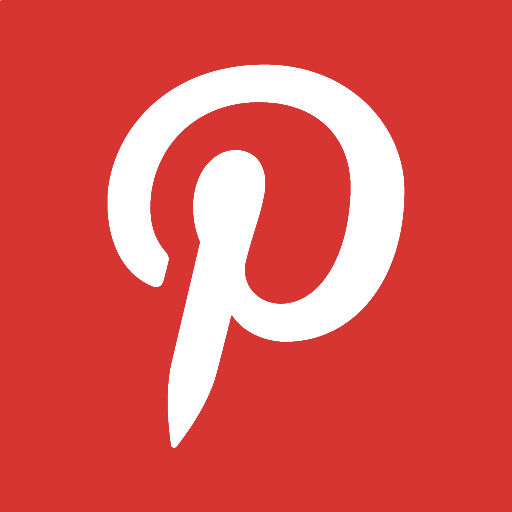 Pinterest indulges our need for visual candy! The “stuff I love” board is glimpse into L.Z.Marie’s head. It’s pretty tame at the moment, but has definite scary (or nerd) potential. The “recipe” board will come in handy when the cooking/baking bug bites. And of course, it goes without saying that I love when I get “Likes” on my Facebook page. Note: If “it goes without saying” then why do people still say it? 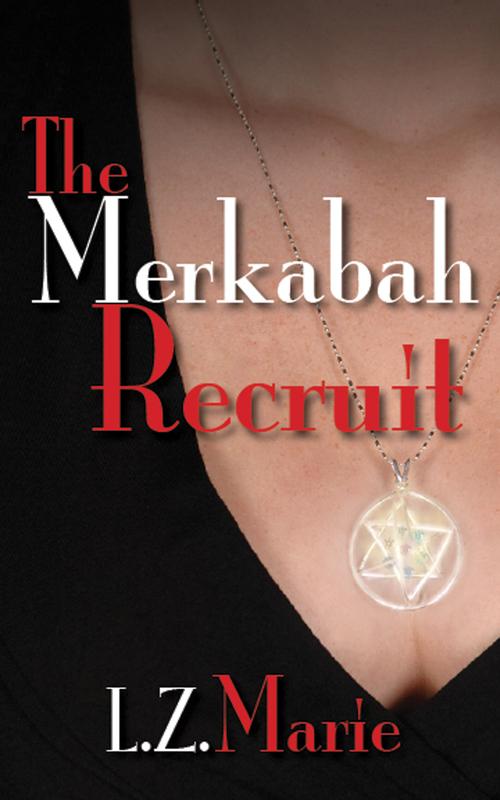 The next free e-copy giveaway of The Merkabah Recruit is February 16th and 17th. (President’s Day is the 18th). If you don’t have a Kindle, but you do have an iPad, just google Kindle for iPad and download the app! It’a free! Now you can download bazillions of Kindle books at a fraction of the cost of paperback or hardback. And you can take advantage of the many free ebooks Amazon offers–like mine! My daughter has a Kindle app on her iPhone and there are also Kindle app for PC, Android, Blackberry, and MAC. 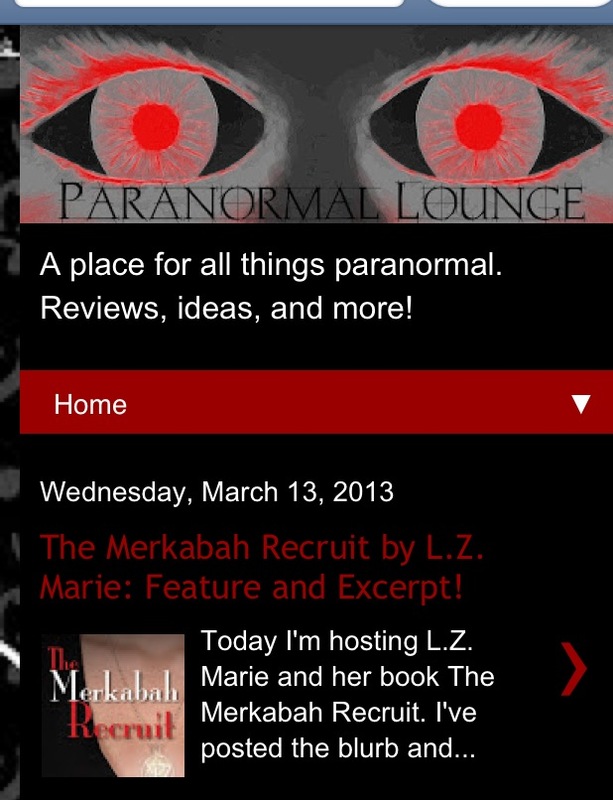 This entry was posted in Life & Laughter and tagged author, blog, free downloads, free ebooks, iPad kindle, kindle, Kindle app, Pinterest, suspense, The Merkabah Recruit, urban fantasy on January 3, 2013 by lzadmin. This entry was posted in Engaging Enigmas and tagged AmazonPrime, author, blog, download ebook, ebook free, free, free ebook, free novels, free romantic novels, kindle, LZMarie, mystery, novel, romance, supernatural, suspense, suspense novels, thriller, urban fantasy on December 25, 2012 by lzadmin. 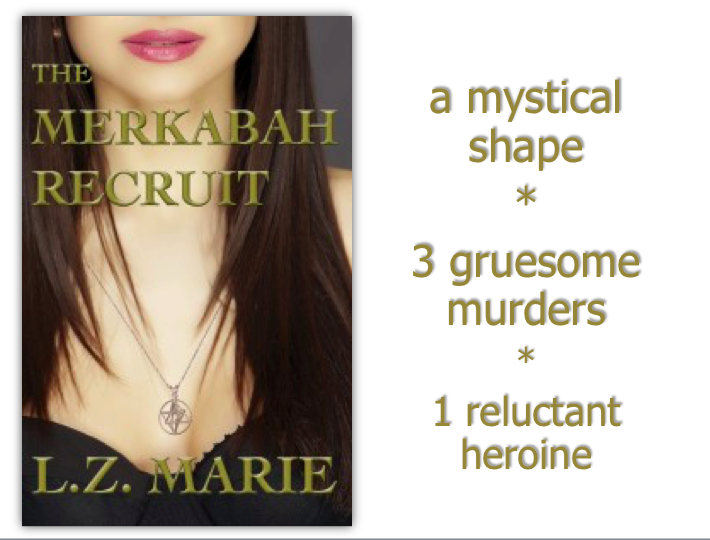 Amazon Prime members can now read The Merkabah Recruit for free! Not a Prime member? No problem! The novel can be downloaded for FREE December 25th through December 27th. Free–especially after those wallet busting Holidays–is great! FYI: Amazon Prime is an amazing program if you’re a voracious reader. It gives you access to zillions ( OK, maybe not that many) of free downloads. This entry was posted in LZMarieAuthor and tagged AmazonPrime, author, blogs, fiction, free, free books, LZMarie, mystery. suspense, urban fantasy, writers on December 10, 2012 by lzadmin. Myth and history collide in my novel, The Merkabah Recruit. Often times, they are rooted and merged so deeply in ancient history and culture we can’t figure where one ends and the other begins. Add modern science to the mix and those fantastical myths are now explainable! I’m not pushing my novel today, but just want to remind you how deeply ingrained our earliest mythology is. What’s your favorite mythological creatures? Don’t know any? Sure, you do! The Harpy! Hailing back to ancient Greece, these creatures were a fusion of bird and woman—portrayed either as ugly or beautiful. They were ravenously hungry (aren’t all women on diets?) and stole food before fouling the area with their excrement (really hope that’s some kind of Greek metaphor). To call a woman a “harpy” today is a total slam! Instantly a nagging, scolding, annoying ugly woman comes to mind! I took a poll of under-thirty somethings–to my surprise they all knew what a harpy was–although they claimed they hated Greek mythology in high school and–even more surprising–laughed or snickered when they heard the word used to describe a woman. Which is the worse insult? Biddy or harpy? This entry was posted in Engaging Enigmas and tagged AmazonPrime, blog, download novels, fantasy, free ebook, free novels, free romantic novels, harpy, history, humor, life, mythological creatures, mythology, suspense, The Merkabah Recruit, urban fantasy on November 7, 2012 by lzadmin. Novel tidbits: Are you an empath? Are you an empath?You are an empath if you have highly developed intuitive senses or sensory perceptions. All humans possess empathic characteristics to a certain extent. We all put on our game face-especially in public, but an empath actually feels what another is really feeling. Do you get instant feelings about someone? Do you instinctively know if someone is lying or depressed? Do you cry or laugh or sneeze or feel pain when you are in close proximity to another who is experiencing those things? For example: Will your knee hurt when you speak to someone who is recovering from knee surgery? Does a particular scent make you cry or laugh? 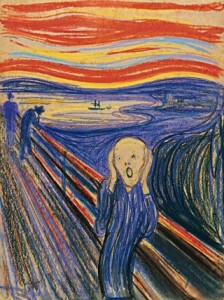 Can you discern the prevailing emotion in a room or a meeting? Do parties leave you drained? 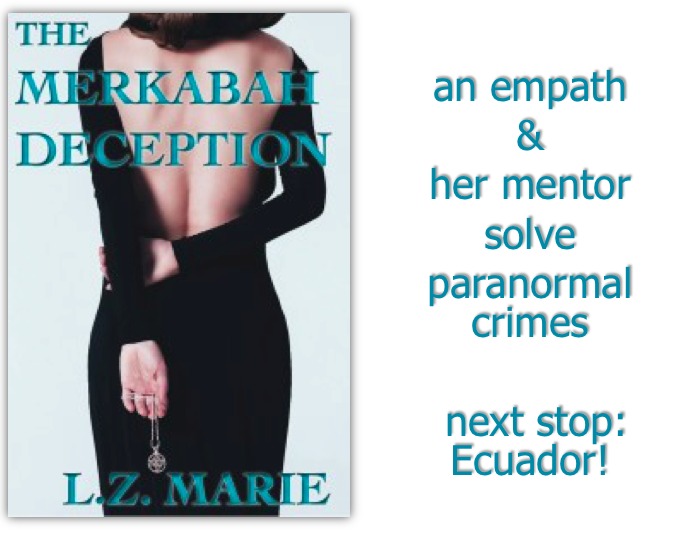 In The Merkabah Recruit, the main character is an unique empath. If you’re interested in this subject or want to know more, check out my novel. This entry was posted in Engaging Enigmas and tagged blog, empath, empathy, free ebook, free novel, LZMarie, mystery, suspense, urban fantasy on September 23, 2012 by lzadmin. 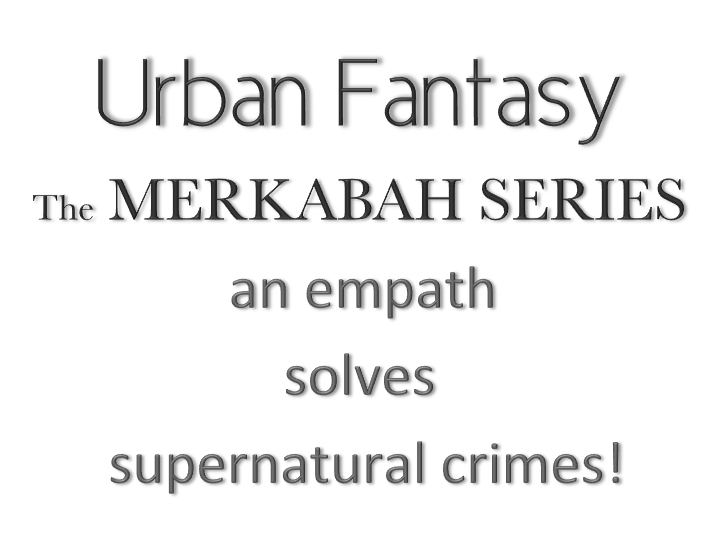 Busy re-writing, fine-tuning, and fact checking for The Merkabah Deception–the 2nd in the Merkabah series. Daphne Sites and her Guide are in Ecuador where they hope to put a stop to the mysterious mass hysteria illness at a prestigious girls prep school. Her search for answers leads to a trip to the Amazon jungle, the equator line, and visits to Quito’s most majestic cathedrals–one with spooky catacombs! Mmmm…wonder what Daphne will find there? Daphne must also learn to work with Caesar–and arrogant and licentious Merkabah Medium with a chip on his shoulder and a few secrets to tell. El duende, an azeman, and a keyeme are just a few of the mythological South America creatures who come out to play in this adventure. And S.J. shows another side of himself–one that Daphne has a difficult time accepting. This entry was posted in LZMarieAuthor and tagged books, free ebook, free novel, life, LZMarie, mystery, novel, review, suspense, urban fantasy, writing on September 17, 2012 by lzadmin. Writing my novel—whether its throwing a rough draft down on paper or fine-tuning a paragraph–is one of the most enjoyable activities I know. The crazier my life becomes, the more worries swirling around the room, the more enticing to dive into a world of my creation. A world I rule. Only in my novel do I have absolute power. Problems and worries disappear as imagination takes over. My slice of zen. Cathartic writing. Being inside my characters’ heads is ever so much more entertaining than pondering my life. He is wrong. I finish the scene in my head as we drive. I finish the scene as we arrive at the party. I finish the scene while making small talk. And then I start another. This entry was posted in LZMarieAuthor and tagged author, blogging, blogs, LZMarie, musings, mystery, suspense, thoughts, urban fantasy, writing on July 10, 2012 by lzadmin.